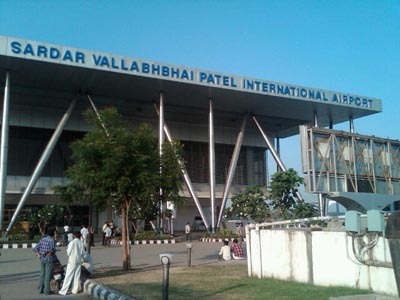 After Gujarat Agro Industries Corporation Limited (GAIC) failed to get NOC from Airport Authority of India (AAI) for more than a year, several BJP MPs from Gujarat led by national vice-president Purushottam Rupala have approached the Union Civil Aviation Minister Ajit Singh for clearance of Centre for Perishable Cargo at city's Sardar Vallabhbhai Patel International Airport. This cargo complex was readied last year at a cost of Rs 5 crore, but got stuck days before it was supposed to be inaugurated. The airport authority smelled a rat in the manner in which the GAIC, a Gujarat government undertaking, brought a third party said to be a beneficiary into the whole scheme without informing the authority as per the norms. The AAI has allotted GAIC 3,600 sqm land at the cargo area on the lease of Re 1 for seven years under a scheme called Rashtriya Krishi Vikas Yojna (RKVY) to promote agriculture-based exports. According to AAI officials, the GAIC roped in Cargo Service Centre India Private Limited and violated the condition under which the land was allotted. "This condition is put so that the benefits go to the government instead private players. GAIC gave the handling of cargo complex to Cargo Service Centre (CSC) without giving us prier information mandatory under the scheme. Despite the fact that it had signed MoU with CSC in June 2010 for managing the operation at the cargo which was done much before we allotted the land. GAIC kept us in dark for the purpose best known to them," sources at the airport said. Rupala met the minister last week in Delhi. In the letter, which he submitted to Singh, he has not mentioned the reason behind airport authorities not giving the NOC. The letter states, "GAIC has implemented project of Centre for Perishable Cargo at airport to promote the export of fruit, vegetables and other perishable temperature sensitive products under RKVY. GAIC has submitted application for NOC with AAI but till date no response has received."